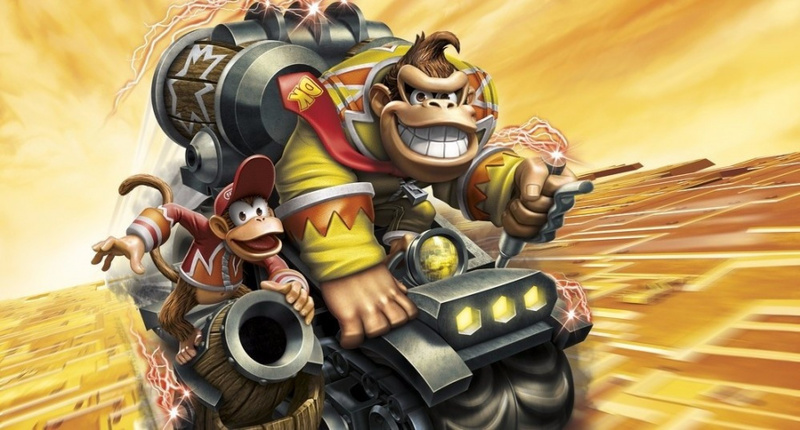 Activision may have unveiled a lot of the Wii U version of Skylanders SuperChargers at Gamescom 2015, featuring heavily the platform-wide addition of its Kart Racing mode, but we are still light on details relating to the Wii and 3DS versions of the game. Talking to Vicarious Visions president Guha Bala, we were able to glean a bit more information about how the Wii and 3DS games relate to the Wii U counterpart. For a start, the kart racing modes across all formats are developed by Beenox, which is also responsible for the Wii and 3DS experience - so we can expect some close co-ordination here in how they work together. By focusing on the Wii and 3DS as a complementary experience we can really invest to make it a great game. I can say it will be a racing experience but it is unlike what you're seeing on PlayStation 4 here. It will offer all different tracks and progress. The Racing Action pack expansions also have a function on Wii and 3DS. Like puddings, the proof will be in the eating (or playing) here, but having bespoke content in these two versions of the game will likely drive avid Skylanders players to seriously consider investing in them. It will be interesting to see how sales of the Wii version in particular compare to previous years now it is no longer looking to keep pace with the more beefy hardware. First.... That was an extremely vague answer! It's coming out on the Wii as well? Think I'll stick to getting the regular starter packs for Wii U and 3DS in a few months time after release for like £20 each. Ill get the Dark versions of the amiibo on eBay.... hopefully.... to satisfy my need to HAVE THEM ALLLLLLL!!!!! The WiiU version will sell, as it's the only way to get the amino Skylander. It's possible they only even made a separate Wii and 3DS version b/c they knew the amino would sell them. We'll probably get the WiiU and Wii versions, still undecided on the dark packs as these are Christmas gifts every year and the dark pack never went on sale, Amazon had Trap Team for $28 Black Friday. Of course since they NEVER talk about the Wll and 3DS versions they may not even be out before Christmas. I'm curious to see what they make for Wii. I'll consider buying it on or near release it if it's well done. I'm a sucker for Wii wheel racing. We have the other Skylanders titles and 90% of all Skylanders for each game we were gonna sit this one out but the more I see the more I want to play it so I guess it's time to admit I'm sold ., I really like how they have added amiibo as well . @Will-75 Yeah the amiibo functionality will be nice, both DK and Bowser have read/write support in Smash and Mario Party 10. I'm fairly set on picking up the Wii U Dark Pack at launch and then waiting out to see if the Wii or 3DS versions go on sale around Black Friday (US Nov 27). I had originally planned to get only the starter pack and maybe an air and sea vehicle, but now with the Adventure Packs including the vehicles, matching characters and a trophy to unlock a race track I may have to buy all three plus the two Starter Packs. I think these guys are nuts. They should release the Skylanders alternate skins as DLC in Smash. I must say, that artwork is awesome! Why on Wii instead of on WiiU?